Here's a shot of an edge city from the new SimCity. Notice what's missing? Geoff Manaugh: While you were making those measurements of different real-world cities, did you discover any surprising patterns or spatial relationships? Librande: Yes, definitely. I think the biggest one was the parking lots. When I started measuring out our local grocery store, which I don’t think of as being that big, I was blown away by how much more space was parking lot rather than actual store. That was kind of a problem, because we were originally just going to model real cities, but we quickly realized there were way too many parking lots in the real world and that our game was going to be really boring if it was proportional in terms of parking lots. Manaugh: You would be making SimParkingLot, rather than SimCity. Librande: [laughs] Exactly. So what we do in the game is that we just imagine they are underground. We do have parking lots in the game, and we do try to scale them—so, if you have a little grocery store, we’ll put six or seven parking spots on the side, and, if you have a big convention center or a big pro stadium, they’ll have what seem like really big lots—but they’re nowhere near what a real grocery store or pro stadium would have. We had to do the best we could do and still make the game look attractive. In other words: SimCity deliberately misleads players about parking because if they showed parking in its true dimensions, it might make dysfunctional land use patterns look (and act) dysfunctional. Sim City contains other examples where the real math underlying how cities work is distorted to appeal to supposedly prevailing prejudices, but few are as egregious as this one. Practically any working urban planner will tell you that managing parking, without a SimCity tooth fairy that builds it for free underground, is a dominant factor in urban form and perhaps the biggest single obstacle to denser and more sustainable forms of development. Change that assumption, as SimCity does, and you're working in fairyland. And it's refreshing to hear the designer confess that the distortion is intentional — a lie rather than a confusion. Game makers can say it's only a game, just as movies that glorify violence are only movies. But like movies, seemingly realistic and immersive simulation games teach people to misunderstand how the world works in a way that makes them less effective in dealing with the world. Of course, SimCity has been doing this – with an explicitly anti-urban bias that belies its name — since the beginning. 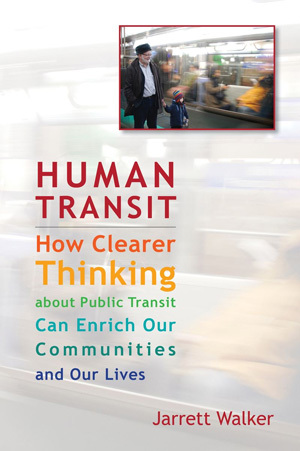 This guest post is by my friend and colleague Stuart Donovan, with whom I've worked on a range of excellent transit planning projects over the years. Stuart is the head of the New Zealand office of MRCagney consultants, a credentialed engineer, and the manager of numerous successful transit and transport policy research projects around New Zealand and beyond. opposite; that there is never enough parking. the past. Deeper analysis suggests this assumption is invalid. almost inexorably lead to higher prices. higher parking prices, other factors remaining equal. important determinant of whether people choose to drive. But what can we do to address parking issues? usually be less than what minimum parking requirements currently stipulate. hour than use private vehicles. further emptied by a parking infringement. changes the nature of the conversation. way of managing demand, especially in areas where pay parking also applied. that revenue from meters went up, but revenue from infringements went down. SFpark was a lone super nova in an otherwise cold and dark parking universe. park for as long as you need. required, rather than a forest of confusing restrictions. need for so many dedicated taxi and loading zones (drop off/pick up). which results in more efficient utilisation. of revenue is derived from those unlucky people visiting the dentist (i.e. expect to decline, whereas meter revenue increases. the setting of parking prices. would this impact parking across the entire city centre? sustainable on-street parking policy in Auckland. it also makes me ask: Which city will be next? Accurate transport pricing not only reduces congestion, it also generates additional revenue to fund investment in additional capacity when and where it is justified by demand. Most importantly, accurate transport pricing is mode-neutral in that it neither discriminates against nor favours any transport mode, although it does favour high-value vehicles, such as buses and emergency vehicles. Accurate transport pricing also allows people the freedom to manage their travel needs in the way that best suits them. Some workplaces, for example, may allow their employees to work flexible hours in order to reduce their transport costs. of transit. He holds a master’s degree in planning from Florida State University, as a Transit Fellow. Parking was one of the earliest problems associated with the widespread automobile ownership that began in the 1910s and 1920s; having a place to leave cars—the terminal capacity—is as important to the transportation system as the carriageway that moves them. By the 1930s, urban streets were filled with cars that were driving in circles searching for curb parking. The accepted solution to this congestion problem was off-street parking.